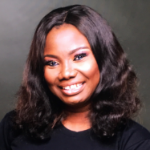 Ayo started her SME banking career with HSBC Bank Canada where she worked for about four years, distinguishing herself as a goal oriented and a highly adaptable individual with the ability to maintain effectiveness with changing environments, tasks, responsibilities and people. She worked with IFC to set up SME Banking framework for Skye bank to restructure and reposition the business for profitability. She later became the Head, Retail Banking, which came with the added responsibility to manage Consumer banking translating strategic goals into operational plans to achieve the required growth in sales and profit. Ayodele possesses very strong leadership and managerial capacity, she is able to drive execution in a focused and coordinated manner.